Dreamworld has launched their new Motorsports Experience as well as the limited run BeatBox show this summer. 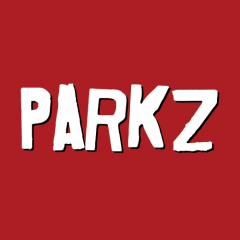 In this Parkz Update we look at a Dreamworld that has transformed into the most immaculately presented theme park in Australia. front line staff who seem to take a genuine interest in making guests enjoy their time at the park. "ENJOY IT! OR BE WHIPPED!" The BeatBox show is a summer production that combines lighting, lasers and Top-40 hits into a solid show to cap off a day at a park. Top 40? The only song i've heard so far was 20 years old! In recent years we've been hard on Dreamworld. Many readers would agree: cost-cutting and questionable artistic decisions saw the park consistently reach new lows that were matched by subpar operations and disinterested staff. It's delightful that 2016 seems to be a new chapter in the park's history. No truer words were spoken. I mentioned in another thread that I was recently trawling a 12 year old TR of dreamworld I posted back in 2004, and I agree - Dreamworld of the past 14-15 years has destroyed what once was - however the past 12-24 months have really seen them turn around - and I have to agree - much as I have always been a stalwart of the VRTP camp - DW is doing a lot to turn their image around. The one thing DW is lacking that VRTP still have - is continued installation of quality, well themed attractions that really lift the park. It needs to start adding some rides that are lauded, not panned. Plus with the recent developments lodged with GCCC - there is more anticipation in camp VRTP of what is coming, whereas DW has been virtually silent. Live-sized replicas of scale replicas. If the turbine made no sense when the ride was Cyclone, then this odd structure that replaced it will have you scratching your head. The one thing DW is lacking that VRTP still have - is continued installation of quality, well themed attractions that really lift the park. It needs to start adding some rides that are lauded, not panned. The revolving door of CEOs with no industry experience probably doesn't help. 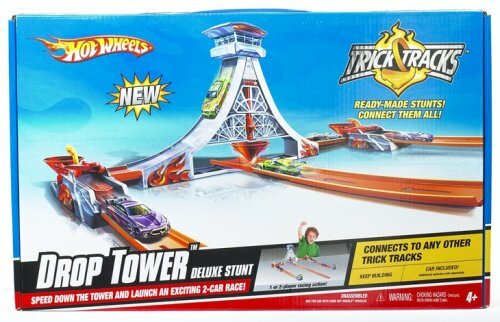 But if the current team understand the basic idea of offering a complete package as they've been demonstrating this summer, they might just have a shot at commissioning a thrill ride that neither spins nor is geared towards 10 year-olds. The update refers to top-40 more as a genre than as a reflection of current charts. There were plenty of songs that have just been released in the best box mix and props to DW for using such an accomplished DJ in Ferris to put it together. I thought it was a fantastic set with wide appeal. If i'm not Mistaken, 20 years ago for Disneyland would be the recent opening of Indy (1995). That is however not the most recent attraction - Tarzan Treehouse, although a repurposing of the Swiss Family Treehouse - is still counted as a 'new' attraction (sort of how Dreamworld counts HWSW) Opening in 1999. Also, Buzz Lightyear opened in 2005 (11 years)... Many long standing attractions also received massive attention for the 50th Anniversary in 2005 also - So the park has hardly 'stood still'. That said, what you're saying is still accurate - the atmosphere is what makes that park. I think they could maintain it to it's current standard forever and people would still adore it. Like I said 'pretty much'. Toon town, buzz, subs, tree house but nothing like the impact of the major e-tickets. Not disagreeing with you - but do you not consider Buzz to be an E-ticket?